This week’s Flash Back Friday takes us to Episode 68 from January 2012. As we embark on the mysterious journey through 2012, many things remain uncertain in our lives, i.e. the economy, employment, our political future. But one thing is certain – our planet needs some TLC. Join Jason Hartman as he interviews Peter Sale, author of Our Dying Planet, concerning the fragile ecosystem we live in and how we can successfully change the future for our children and grandchildren with a change in attitude. Peter says our planet does not have to die. We can avert the looming disaster if we act soon. Peter talks about many of today’s pressing environmental issues, including biodiversity loss, population growth, deforestation, fossil fuels, and climate change. Peter discusses how some ecosystems, such as the coral reefs, are extremely close to extinction through human irresponsibility. He also talks about new diseases and new species of pests, unrest and strife throughout the world, and the growing economic problems surrounding the resources the world population depends upon for survival. He states that the solutions to all of these problems are economically feasible, but people must have a change of heart and take action now. 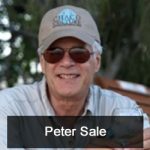 Peter Sale is a marine ecologist, with a Masters from the University of Toronto and also educated at the University of Hawaii. Peter has seen firsthand the destruction of the coral reefs. His work is focused primarily on reef fish ecology and on management of the coral reefs. He has conducted research in Hawaii, Australia, the Caribbean, and the Middle East, as well as many reefs in between. He has successfully developed and guided projects in international development and sustainable coastal marine management in the Caribbean and Indo-Pacific. Peter has been a faculty member at University of Sydney, Australia, University of New Hampshire, and University of Windsor, Canada. He is currently the Assistant Director of the Institute for Water, Environment and Health at the United Nations University, based in Hamilton, Ontario. In Peter’s book, Our Dying Planet, he makes the argument that the complex and very serious problem of our global environmental crisis can be solved, has to be solved, and must be solved soon.